Mumbai got the occasional showers on Tuesday, and Colaba measured 51 mms and Scruz 63 mms in 12 hrs from 8.30 am - 8.30 pm IST. Mumbai may see a slight decrease in rains intensity and amount on Wednesday ( Maybe around 30 mms). In Konkan, Ratnagiri got 64 mms. Rain was very heavy in Meghalaya, with Mawnsynram recording a massive 549 mms, Cherrapunji 448 mms and Cherrapunji RKM 400 mms in 24 hrs till 19th morning ! Nepalgunj (Nepal) received 66 mms in 24 hrs ended 5.30 pm IST today and Kathmandu 24 mms. Good overnight Rains around Mumbai..Nagothane gets 154 mms and Panvel 114 mms. See Mumbai Region rains and more on Mumbai Page. The Axis of the Monsoon: Now Northern most in the Himalayan foothills. Likely to remain in this position till 22nd July. Next Low in Bay: BB-4, can form off the A.P.coast around 22nd July. Monsoon axis passing from North Pakistan Punjab thru Amritsar, Haryana,Thru U.P and Bihar and thru North West Bengal into the NE States. Next 2 days,19th and 20th July: Rainfall likely to be persistent along the Monsoon axis.There will be pockets and patches of very heavy rainfall along this "Line".But i would vouch for very heavy showers in Assam and Meghalaya. Huge 3 digit amounts in Cherrapunji and Mawsynram for sure. Along with Himalayan West Bengal, I would estimate heavy showers in Bhutan and Eastern Nepal and Kathmandu. Expect heavy thunder showers in Kathmandu on 19th and 20th. Maybe cumulative more than 100 mms in 2 days. Local mountain regions will get heavy rains also. Heavy rains along Delhi/West UP region on Thursday 21st. As we have a weak off shore trough along the West coast of India, showers ranging from 20-60 mms would continue in most towns of Konkan and Coastal Karnataka. Scattered light showers upto 10 mms in few places in Saurashtra. No meaningful increase. Strong Gusty SW winds in Saurashtra and SE Sindh (Pakistan). Mumbai: Tuesday 19th and Wednesday 20th: Cloudy and windy weather. Regular occasional showers, and some of them may be heavy with gusty winds and low clouds. Rainfall amount could be between 30-40 mms and maybe > 40 mms in some parts. This will be on Tuesday. Wednesday may see occasional showers amounting to around 20-30 mms. Pune: Usual typical Monsoon climate. Cloudy with few light passing showers in several parts of city. Day around 26/27c. New Delhi: Hot next 2 days, and a significant increase in rainfall on Thursday 21st and Friday 22nd. (As axis moves Southwards). Normal rain fall this week, around 5-10 mms in Akola District. We wait for some increase this weekend in Vidharbh & Marathwada. Karachi: Cloudy skies with strong windy conditions (Upto 40 kmph). Light rains in some parts of city. Sir, any good rain in last week of July or early August in lower Sindh. Sir,any estimate on coming low's(BB 4) direction and performance? Sir whats your opinion regarding mid tropospheric cyclones over west coast? Will it continue in Aug? Whens ur next MS watch? Do rains over south tibet will be still concider? Margao Goa recorded 36 mm in 24 hrs till 0830 July 19, as expected by you! ENSO indicators in the Pacific Ocean remain neutral, while sea surface temperatures in the Indian Ocean show a strong negative Indian Ocean Dipole (IOD). Latest values of the IOD index show the dipole has strengthened in recent weeks. Climate models indicate the negative IOD will persist through to the end of spring. A negative IOD typically brings above average rainfall to southern Australia during winter-spring, with cooler daytime temperatures across southern Australia, and warmer daytime and night-time temperatures in northern Australia. Find out more about the Indian Ocean Dipole on our website. In the tropical Pacific Ocean, recent model outlooks indicate a reduced chance of La Niña in 2016. Most climate models indicate the central Pacific Ocean will continue to cool, but only two of eight models show La Niña values through the southern spring. Recent observations of cloudiness, trade winds and the Southern Oscillation Index (SOI) show little change from normal patterns. These observations, combined with current climate model outlooks, means the Bureau's ENSO Outlook remains at La Niña WATCH. This means the likelihood of La Niña forming in 2016 remains a 50% chance. Typically during La Niña, winter-spring rainfall is above average over northern, central and eastern Australia. If La Niña does develop, climate models indicate it will not be as strong as the most recent La Niña of 2010–12, which was one of the strongest on record. Zohair; These circulations over and off west coast are generally normal and embedded in off shore trough. For rains in coastal sindh, we either need the UAC to shift with the trough towards the west, off Gujarat/Sindh coast, or a system from Bay. Monsoon Watch generally stops after arrival of Monsoon. South Tibet rains are mostly linked with the axis in the extreme eastern states of India. Nothing connected with Central regions of peninsula, though the axis position is linked to the tracks of any system form Bay. We shall watch the track of BB-4 now. Kamran:we wait and see how the new upcoming system BB-4 tracks. Then we can estimate the rainfall in sindh. vikas: West MP had good rains last week. Now, let us track BB-4. Rajesh sir'i am happy to see "NAGOTHANE" mentioned in vagaries .its raining non stop since yesterdayvafternoon. Non stop wind/cold torrential rains lashing over Navi Mumbai since yesterday - it is first time vagaries did not forecast heavy rains otherwise always it is with precision. 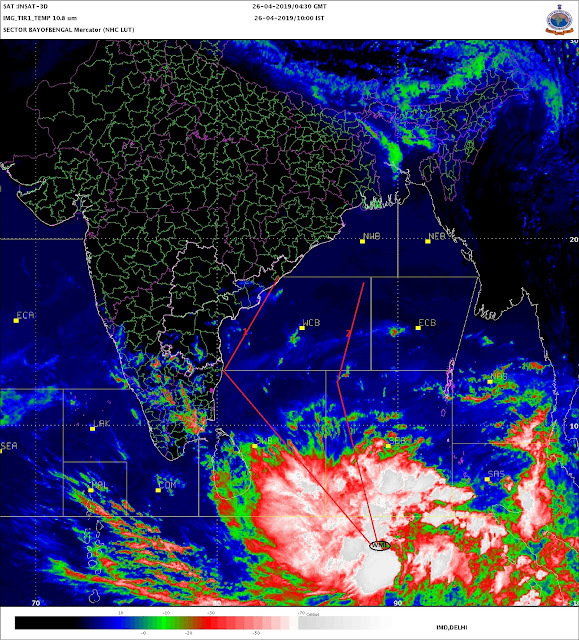 Southern India again missing heavy spells inspite of UAC. Meanwhile Europe is facing heatwave! London 33c - which according to them will melt road - compare India it is cool for us! Total increase from last week is 154 Mcum or 154,000 million litres. Total needed for all reservoirs to be 100% full is 655MCum. sset: Vagaries had mentioed 30-40 mms in Mumbai, and Mumbai received 63 mms (Scruz) and 53 mms at Clb. Navi Mumbai received about 30 mms (PWS). Vagaries had put 20-60 mms for Konkan towns. rajesh sir - IMD says a fresh UAC near North Andhra coast - will this strengthen into a well marked low and cross the coast and travel westwards towards Maharashtra/Gujarat. Back to bangalore after 5 days in mumbai. Witnessed good rain on Sunday morning and Tuesday morning.